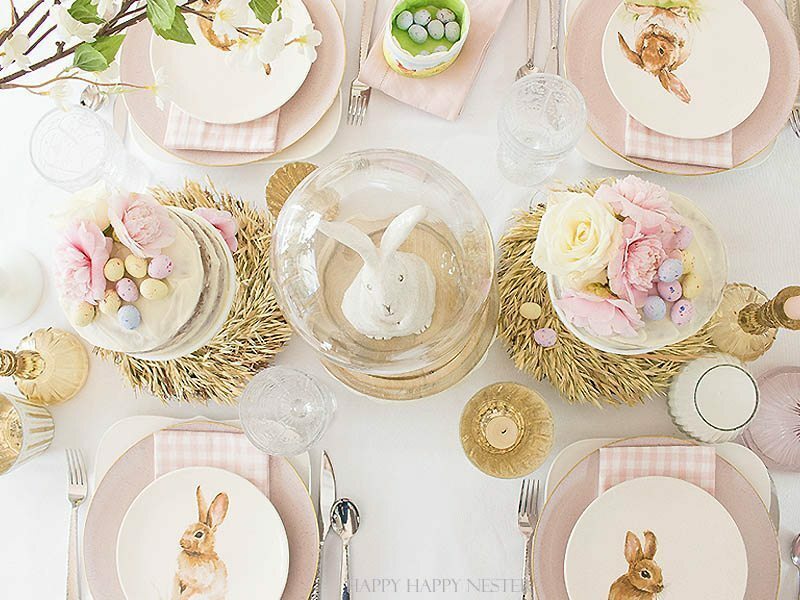 We seem to go back and forth between serving a fancy Easter dinner or Easter brunch. For years my kids had club sports on the actual Easter day, which always seemed so odd to me. So the sports schedule often dictated if I was preparing Easter dinner or brunch. 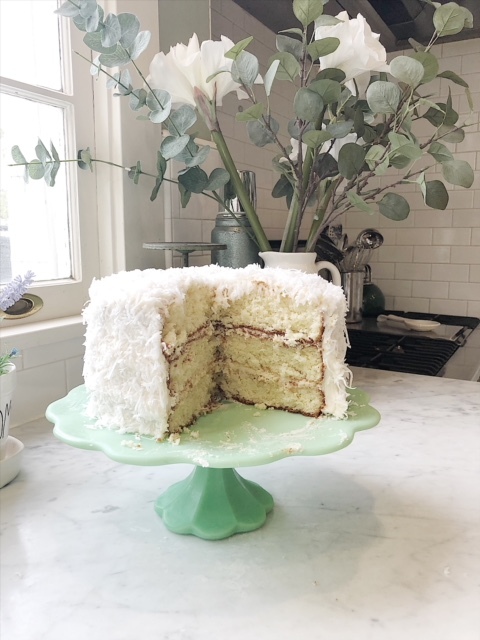 One of my favorite all-time recipes is this Coconut Cake. It’s easy to make and it tastes really fabulous. 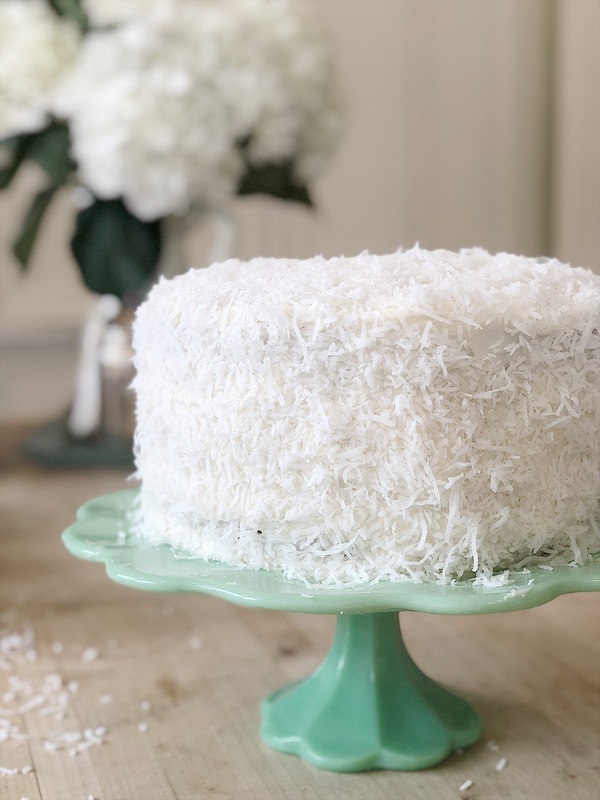 Here is the recipe for the Best Coconut Cake. I also wanted to share this wonderful Easter table I created last month. I found all of the decor at JOANN and I served Easter desserts which were ice cream flower pots. Yep. Those flower pots are edible! And these Easter Eggs I made with nail polish! There is a complete DIY on my blog post and I think you will love how easy these are easy to make. I am also sharing some Easter Dinner tablescapes from two of my favorite bloggers. 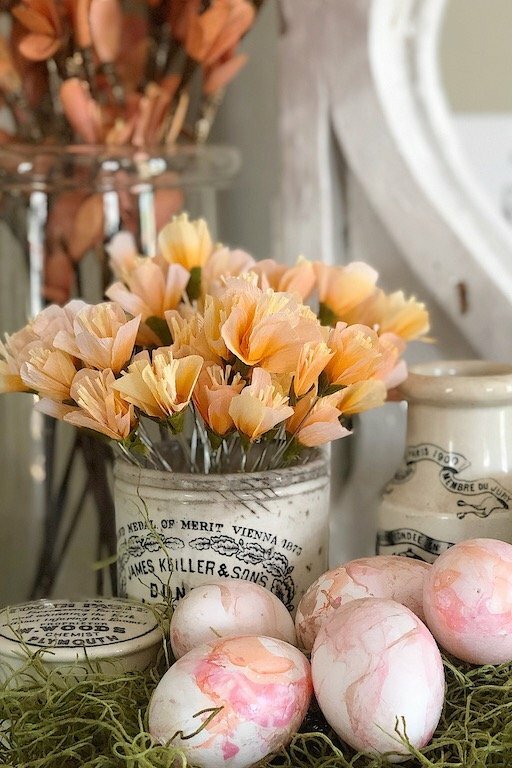 My friend Janine at Happy Happy Nester also has a beautiful post about Easter Table Decorating ideas. Look at her Easter cakes! 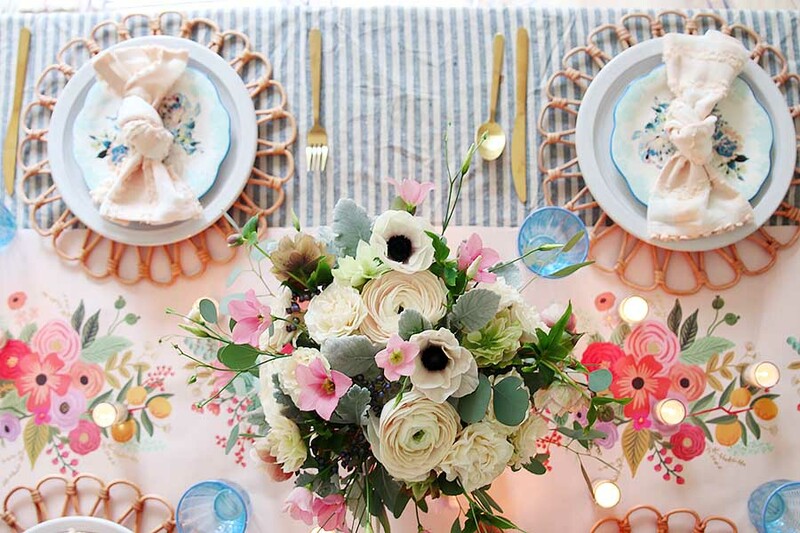 Ashley from Modern Glam has a fabulous pink and blue spring table for Easter that she is sharing on her blog. Isn’t her table wonderful? 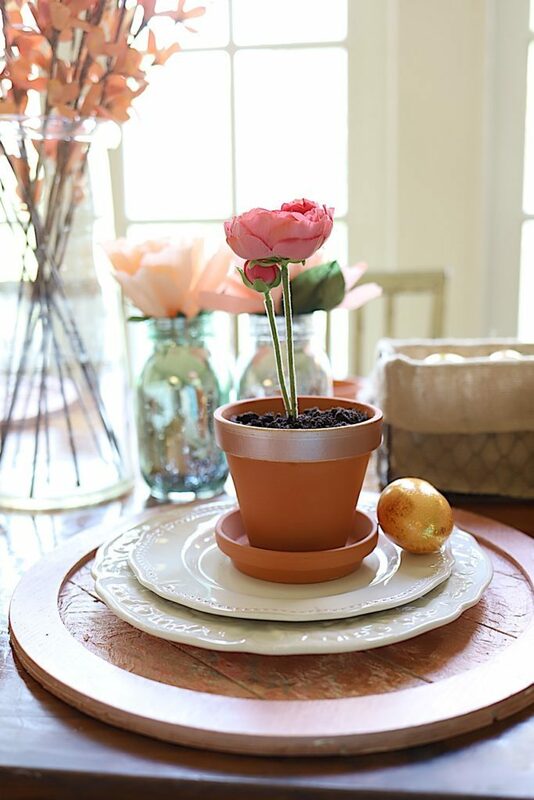 With a week until Easter Sunday, it’s time to be thinking about getting ready for Easter dinner. I hope this post is a good start .